The Mooer MEP-ML Micro Looper allows you to record, playback, stop, overdub and delete using one single footswitch. 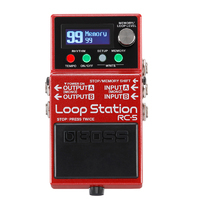 The Micro Looper has up to 30 minutes of recording time and unlimited overdubbing times. Worry about losing your recordings after you cut off power? No need, the Micro Looper will save all the loop recordings data automatically when the power is off. You will never lose your inspiration! Up to 30 minutes of recording time, enough for you to record down your songs. Unlimited overdubbing with no maximum limit. High quality sound restoration using high quality electronic components. This ensures the playback audio signal is as clear as the way they are recorded; you will never lose any detail. 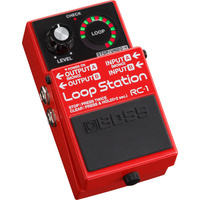 Loop level knob: Control the volume of the loop. Easy operation: Stop/Delete/Redo functions are controlled by just one footswitch.